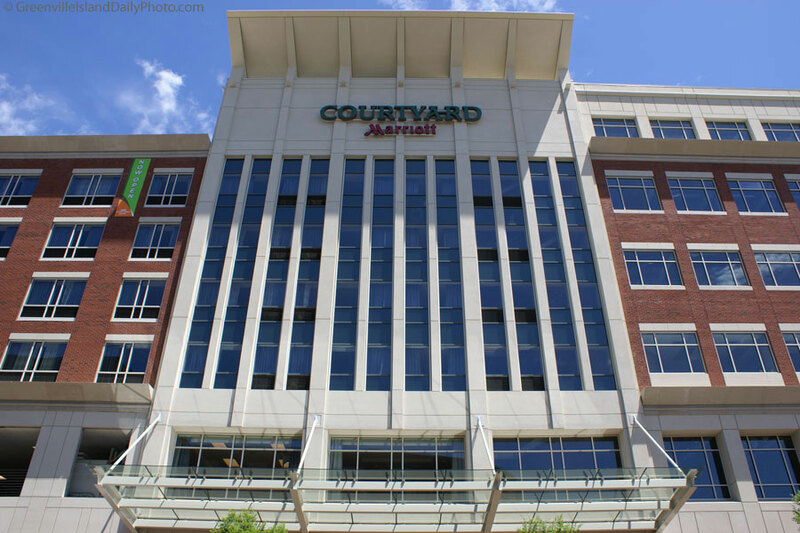 The “Courtyard” of the Courtyard Marriott on South Main Street Greenville. This village green is the location of the ice skating rink in the winter, although that seems far off during this heat wave. 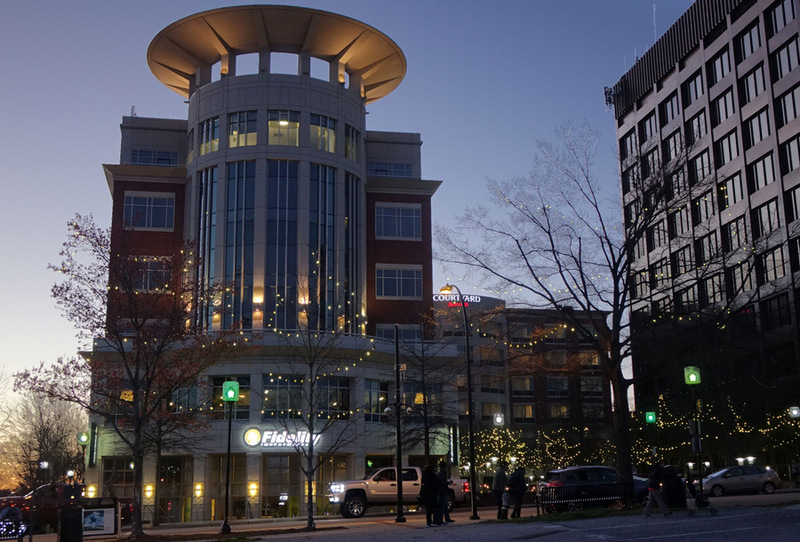 Looking up Broad Street toward the Courtyard Marriott. 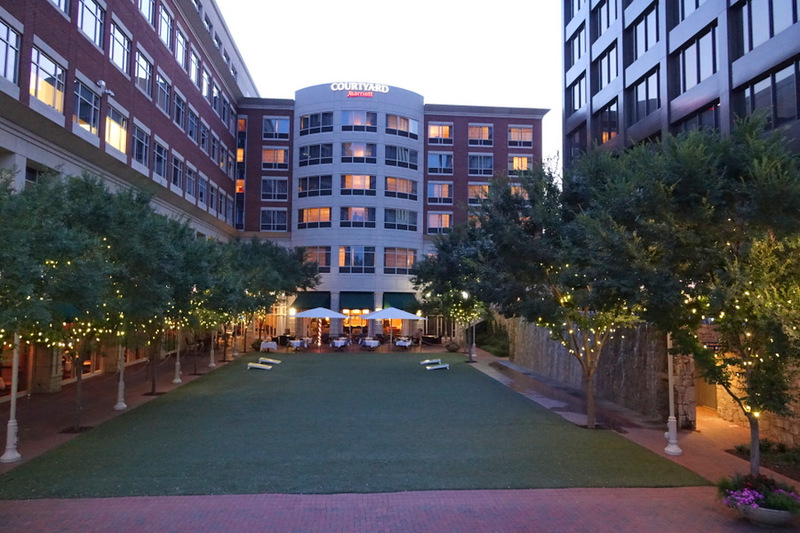 The water wall on the green at the Courtyard by Marriott in downtown Greenville. This photo was taken by Denton Harryman. Looks like yellow may be the theme at the Artisphere opening event. Hopefully we will have sunny weather which match these bright colors. 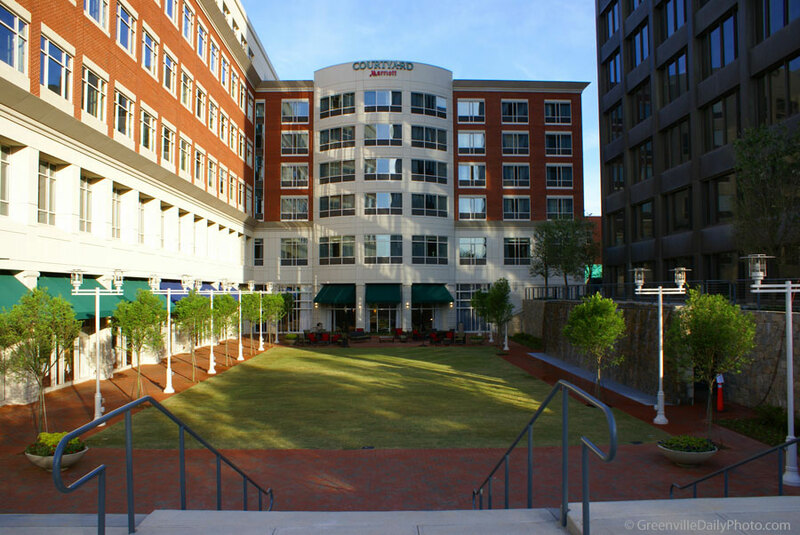 The green space, in front of the downtown Courtyard by Marriott, is positive addition to Greenville. Notice the water wall on the right and the chairs next to the hotel. Also, the bar at the Nantucket Seafood Restaurant has large glass doors which open on to the green space. And, I understand they plan an Ice Rink during winter months. The sign says “now open”. 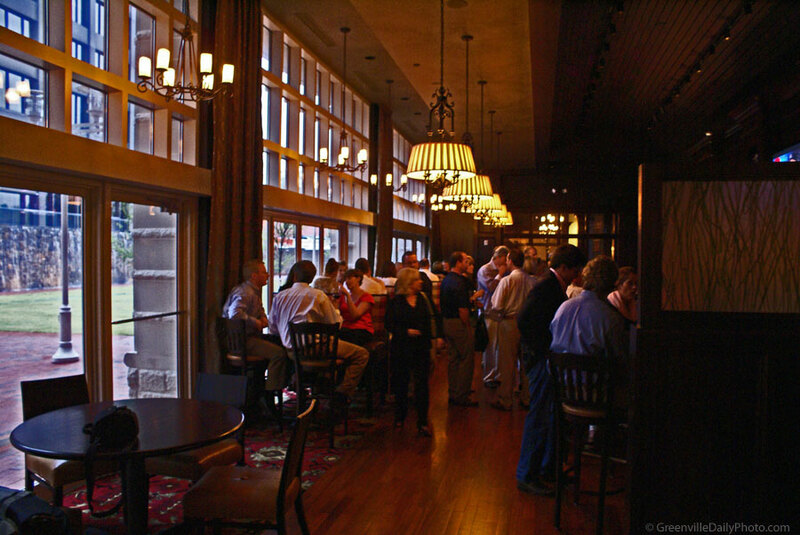 Previously, we shared a photo of the the bar at Nantucket Seafood Restaurant which is next to the Courtyard. As soon as the green space is open to the public we will share a photo of it as well.